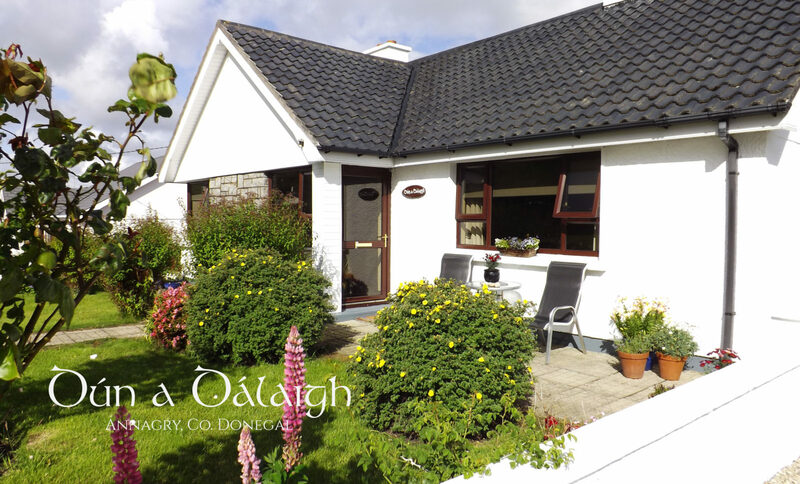 Dún a dálaigh house is situated in the heart of the village of Annagry, Co. Donegal along the Wild Atlantic Way. This beautiful self catering accommodation has 3 double bedrooms to sleep up to 6 people comfortably making it suitable for all. The holiday home has a bright modern kitchen with separate dining room. The Sitting room is tastefully furnished with Saorview TV. There is also a selection of board games and book. This holiday home has 3 comfortable rooms with 3 double bed. Bed linen and towels are included. Take a day trip to Aranmore, Gola or Tory Island. Glenveagh National Park just 20 mins drive from the property.